Hendrick's Gin x Dempsey & Carroll Stationery Giveaway! I'm running a really fun giveaway on my Instagram account this weekend - a set of Hendrick's Gin stationery made in collaboration with Dempsey & Carroll! 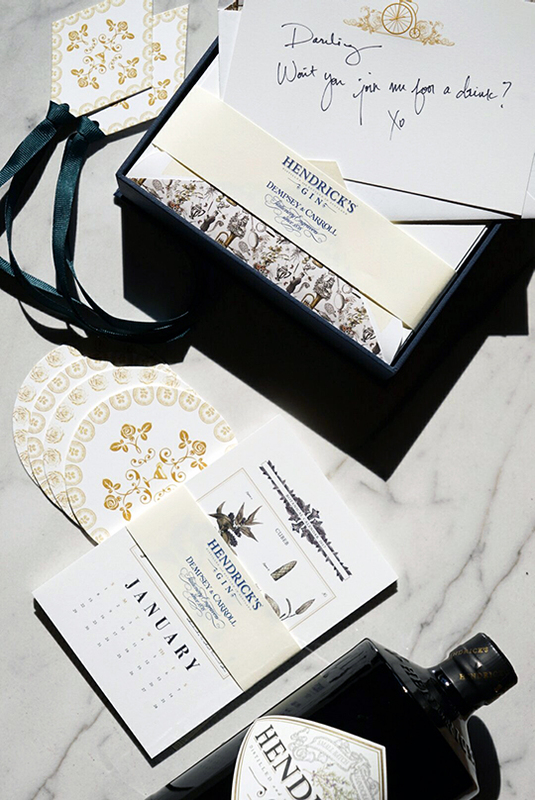 There are penny-farthing notecards that come with Hendrick's themed envelopes, Rose and Cucumber Coasters, diamond shaped Gin Tags with martini glasses, and (my personal favorite) a 2017 desk calendar that features a different botanical for every month. Click through to enter to win! Check out the whole collection on the Dempsey & Carroll website.